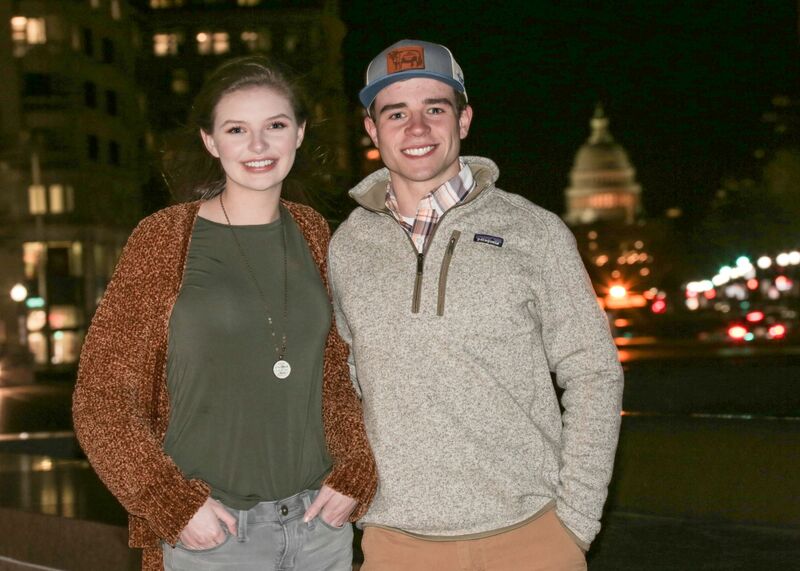 Lauren Rowlette of Madison County and Marcus Wiseman of Clark County were named 2019 Outstanding Farm Bureau Youth during the KFB Annual Meeting held last December. Providing learning opportunities for young agriculturalists has long been a priority for KFB, and both Rowlette and Wiseman said they feel it’s important for their generation to take advantage of every chance they get to make their voices heard. Rowlette, who was making her first trip to Washington, said in being a part of this Farm Bureau group, she saw members taking the opportunity to bring up important issues to lawmakers, ultimately having an impact on these issues. “To have an opportunity such as this and be in a place where legislative leaders will hear what you have to say, it’s just been an awesome experience,” she said. Rowlette also noted that many different skills can be learned by being involved in the agriculture industry. In discussing what issues are important to her, Rowlette said there’s no doubt that today’s modern technology is very important to agricultural production. But there are still many in the ag industry utilizing more traditional methods of production. She feels there is room for both. Wiseman, who has been to Washington once before, said he’s known at school as the “kid” who gets up early every morning to feed cattle and comes to school with smelly boots. Wiseman said, from an issues standpoint, there are many concerns in the ag industry including those with the dairy business and current-day burley tobacco growers. Wiseman added that having a support system such as Farm Bureau at the state and national levels is important to farmers, especially for farmers his age. “I know at my age, if something goes wrong, I always want to call my mom. In agriculture, if something goes wrong, you have Farm Bureau to call on,” he said. “And if you can compare any organization to your mom, you know they have to be a good group.